In the first six months after launch, nearly four million consoles were sold. The best-selling game for the Playstation is Gran Turismo, with 10.85 million copies sold as of April 30, 2008. The system requires a memory card to store game saves. On July 7th, 2000, the Playstation was updated to the PSone with changes that decreased weight and increased resolution. The Playstation 2 is the best-selling home console to date, having reached over 155 million units sold as of December 28th, 2012. One of the defining features upon release was the inclusion of a stand that allowed the playstation to stand vertically instead of horizontally. However, it was a common complaint that games were much more likely to be scratched while the PS2 stood in the vertical position. In 2004, Sony introduced an updated version of the PS2 called the Playstation 2 Slimline. The Slimline decreased the overall weight of the system and boasted a built-in Ethernet port as well as a quieter CPU. The PSP was the second handheld game console made by Sony but was the first to offer high-end graphics, 4.3 inch viewing screen, multi-media capabilities, and online connectivity. The system did not meet sales expectations, despite 500,000 units being sold in the first two days. The PSP was made mainly to rival the then recently launched Nintendo DS. Since production of the original, four new models have been made, with the latest being the PSP-E1000. All models of the PSP are no longer in production. The PS3 was one of the most innovative home gaming consoles of the time. The introduction of a wireless controller allowed for gaming away from the proximity of the console. The controller also introduced the feature of motion control and the ability to play video games by shaking, rotating, or moving the controller. Another major feature was the introduction of the Playstation Move accessory that allowed the user to “be the controller” through the use of a motion tracking wand-like controller. Two updated models were released after production of the original; the PS3 Slim Model and the PS3 Super Slim Model. As the successor to the PSP, the PS Vita primarily competes with the Nintendo 3DS. The system was released with the promised Playstation TV, which allowed the PS Vita to play the same television shows as a normal TV. Although highly popular, the knocks against the PS Vita were the high price of the console as well as the memory cards that were specifically made for the Vita. The PS vita never took off as expected with competition arising from smartphones and tablets. One updated model of the PS Vita was released in 2013, called the PCH-2000 series. As the most recent release by Sony, the PS4 offers the most expansive and interactive experience in a home gaming console possible. Almost every feature available on the PS4 has integrated multimedia and social media aspects. For example, live gaming footage can be recorded and shared by simply pressing the SHARE button on the DualShock 4 controller. The PS4 also offers the ability to play games at 4k resolution, although games are not expected to be made with 4k capabilities. The new CPU and upgraded RAM allows for multitasking and high-energy tasks. Each generation of console (PS1, PS2, PS3, PS4) has a wide variety of games. Pricing ranges from $39.99-$59.99, and depends on production year and rarity 1.PlayStation games can only be played on PlayStation consoles, and only some of their games are backwards compatible. Backwards compatible games are able to be played on any of the PlayStation consoles2.Games can be accessed and purchased through several modes such as ordering, downloading, or purchasing from a store. Packaging: Compact, rectangular disk carrying case. PlayStation game ratings are not determined by PlayStation. Instead, Entertainment Software Rating Board (ESRB) establishes and assigns ratings. ESRB assigns each game’s rating by the elements that are incorporated into the game, such as intense violence, strong sexual content, mature content, etc3.The ratings are typically posted in the bottle left corner of the game, and on the left side of the game disk. E+10: Content is generally suitable for ages 10 and up. May contain more cartoon, fantasy or mild violence, mild language and/or minimal suggestive themes. T: Teen content is generally suitable for ages 13 and up. May contain violence, suggestive themes, crude humor, minimal blood, simulated gambling and/or infrequent use of strong language. M: Mature Content is generally suitable for ages 17 and up. May contain intense violence, blood and gore, sexual content and/or strong language. A: Adults only: Content suitable only for adults ages 18 and up. May include prolonged scenes of intense violence, graphic sexual content and/or gambling with real currency. RP: Rating Pending: Not yet assigned a final ESRB rating. Appears only in advertising, marketing and promotional materials related to a “boxed” video game that is expected to carry an ESRB rating, and should be replaced by a game’s rating once it has been assigned. Genre is an important aspect of SONY PlayStation video games. There are several genres that allow their video games to be accessible, and appealing to a multitude of players. Shooter: Players shoot to remove enemies or objects in order to continue and survive in the game. First person shooter: Players navigate games through first person perspective. Adventure: Players are required to solve puzzles interactively, violence is less common in this genre. Platform: Players are required to assess environments, consider timing, and jumping in order to avoid enemies and progress in the game. Role-playing: A form of adventure game, players receive a quest, watch as their character evolves, and typically manage an inventory of tools necessary to complete the character’s quest. Puzzles: Similar to traditional puzzles, players use strategy and intellect to solve each task with increasing difficulty. Simulations: Players are provided with the sensation they are recreating an experience. Strategy-tactics: Players are expected to experience a sense of realism while playing the game, similar to simulation games. Sports: Players feel as though they are playing a sport. Fighting: These games are typically 1 v 1, and the object is for one player to defeat the other. Dance/rhythm: Players are typically provided with special controllers, which they use to react to timed elements that are typically synced to music. Survival horror: Players must prevail in challenging and scary environments to reach the end of the game. Hybrids: Games that are designed using a combination of several different genres. Some of PlayStation’s best selling genres are simulation, role playing, and survival/horror games. In 2010, PlayStation came out with a new type of game which required a motion sensing, game controller platform called play station move.8 PlayStation move changes the gaming experience in that players are physically active when playing. Not only can players control their movements on the screen, but they also have the option to post or share their gaming sessions on popular social media sites such as Facebook and YouTube. This gaming system adds aspects of multimedia and collaboration to PlayStation games. Technology has had a very significant impact on the Playstation community. When the Playstation was first founded, online gameplay did not exist. Players would sit at home usually by themselves and play their game. With the advancement of technology and the internet, online gameplay has changed the way the playstation community communicates and competes with one another. Today, the Playstation Plus (online gameplay) only costs players $49.99 per year, which is about $4.16 per month. This is a very cheap price to pay to be apart of a community that connects millions of players together from all around the world. Players can play their video games and interact with “online” friends throughout the globe. Players now have microphones and headsets to communicate with their “online” friends. Online gameplay is the modern day version of pen pals. This is a way for players to play, compete, and communicate with one another. Online gameplay has allowed players to become more social within its own community. Playstation competitions have allowed players to compete very competitively from the comfort of their own homes. Gamers use video game competition websites, like gamebattles.com, to match up with other gamers to compete and to see who is the best. These competitive websites have allowed gamers to compete against other competitive gamers with similar skill levels. These competitions have taken online gaming to a whole new level. Instead of playing with “online friends” for fun like the majority of gamers do, the competitive players want and try to make a name for themselves in the online community. Further, there are a number of competitions available across the country and globe for gamers to enter and compete in. These live competitions can be viewed through the internet by gamers who do not have the advanced skill set of those competing, connecting amateurs at home with professionals competing. 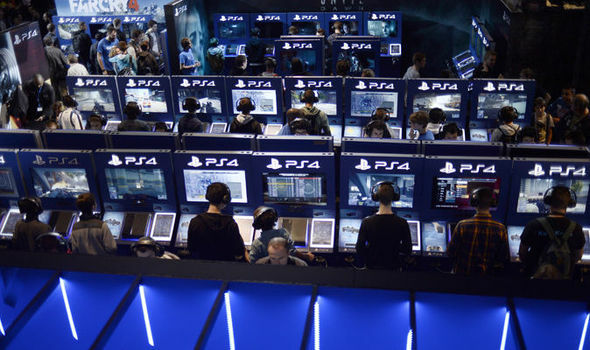 Playstation conventions are ways for fans and gamers to watch the live release of new video game systems and games. One convention in particular, E3 or the Electronic Entertainment Expo, is one of the largest video game convention in the world. E3 has been around for nearly 20 years, and has managed to grow in consumer following and popularity with each year. In 2015, it was estimated that 48,000 people attended the E3 convention in Los Angeles, California. Not only do every day Playstation fans from all over the world attend this convention, but celebrities like Soulja Boy and other public figures attend to watch the live release of their favorite video games. Ticket prices do not come cheap; in 2012 ticket prices ranged from $795-$995. These conventions connect ordinary fans and gamers to the creators of games and consoles. Fans can talk with developers and ask them all sorts of questions. Further, for those who do not attend these conventions in person, the opportunity to connect with the gaming community is available online, as they can watch the livestream of the conventions on the internet. Because of the advancement in technology, Playstation gamers are now connected more than they could ever imagine. They will always be connected to their community as long as they have access to the internet.